It was a great opportunity to meet some lovely sisters too. We bumped into Ayesha @ My Big Fat halal Blog on the way to the Festival and coincidentally found her on the way back. You can read her blog post here - it is the BEST! We also had the pleasure of meeting quite a few hijabi/lifestyle bloggers. But the food for us was what stood out the most. On our way in, we made to sure to make a mental note of every stall that interested us. I have to say the variety was great, catering to different tastes. 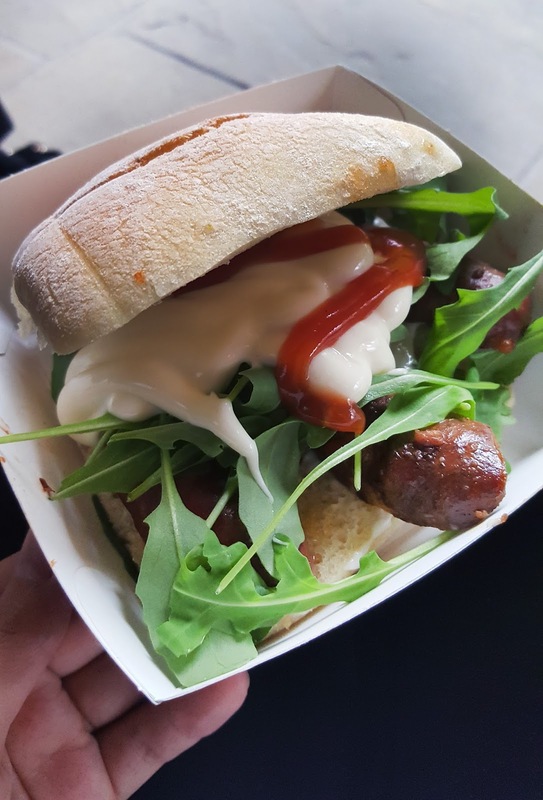 Foodies like my sister and I couldn't find fault with the assortment the Festival had lined up as it gave guests the chance to try and test out what suited their tastes. The Festival had live shows prepared for us to watch, which we used as break times, giving us a good time to digest food and enjoy some engaging entertainment. We got to watch the [halalvloggers] Man Versus Food style show. Contestants had to eat hot chicken nuggets in 30 seconds! Sounds easy enough, until we got to try those cheeky little nuggets, and trust me - I could barely have one without choking. It was seriously hot! It was nice to see the stalls were quite ranged; there were a few lifestyle, book and fashion related stalls too. But the most important thing, of course, was the food! What did we eat? 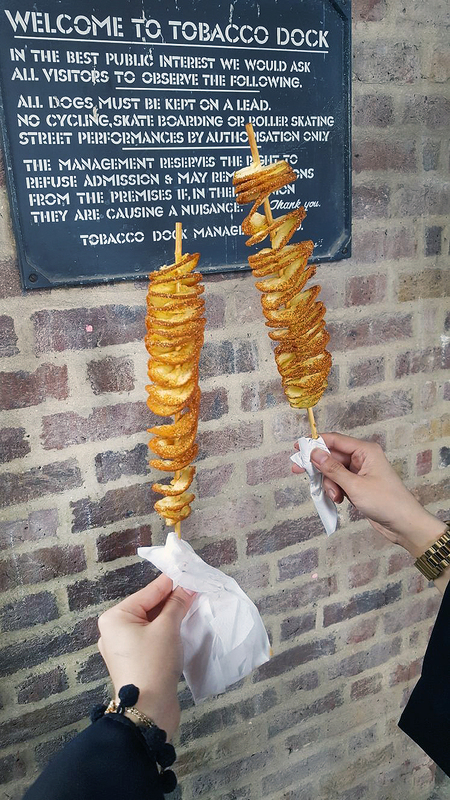 Fried potatoes on a stick. 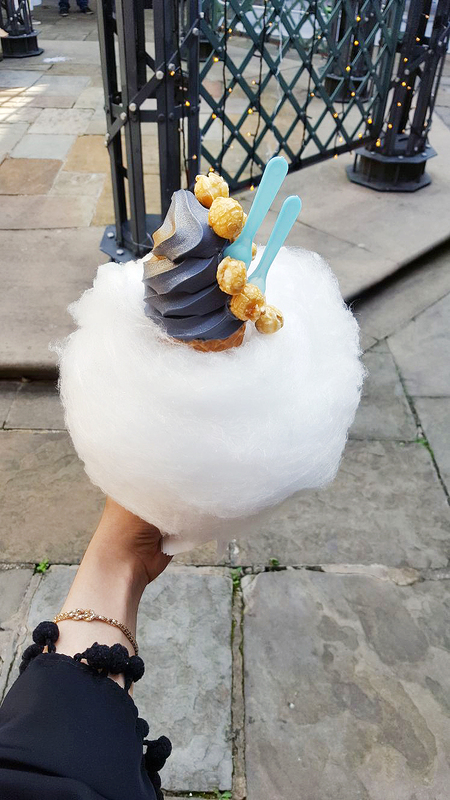 This looked as amazing as it tasted, but was quite messy to eat. We bought the special flavour, which was a mixture of piri piri, chilli etc, and a few others but my memory fails me here. Hot dog is always a good idea! 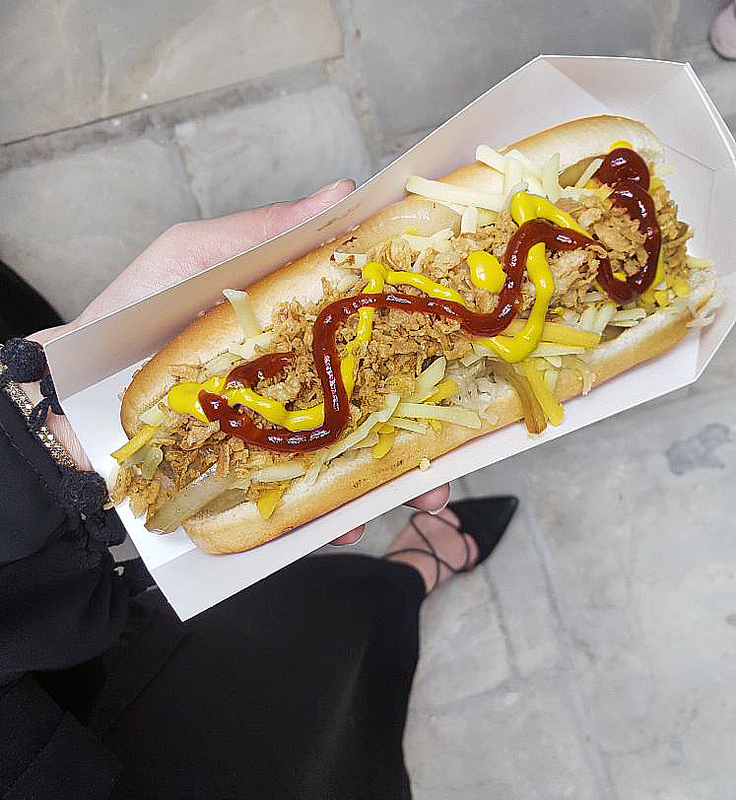 We tried to keep it close to the classic taste with fried onion, mustard and ketchup. 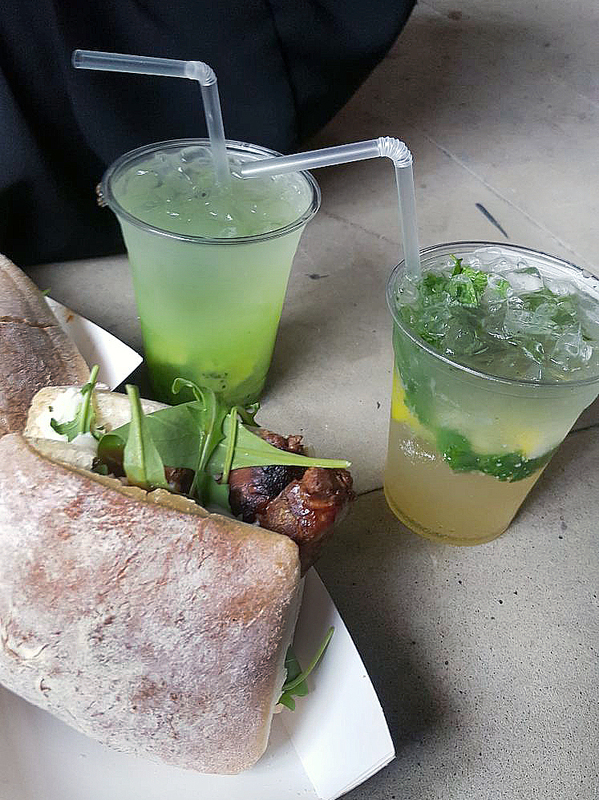 BBQ sausage sandwich + mint lemon mojito and kiwi mojito. 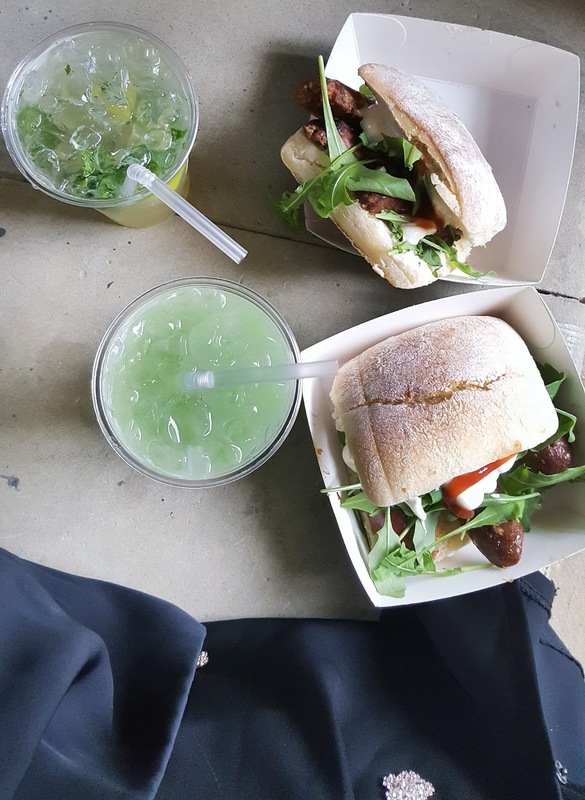 It was a delicious meaty meal and my first time trying kiwi mojito - I was surprised by how sweet it was! Ahh lovedd going. All the food tasted amazing especially the ice cream! Sounds lovely.I think all Muslims love to hear about halal food festival.Ice cream looks great.